Does anyone in authority anywhere tell the truth about Fukushima? If there is any government or non-government authority in the world that is addressing the disaster at Fukushima openly, directly, honestly, and effectively, it’s not apparent to the outside observer what entity that might be. There is instead an apparent global conspiracy of authorities of all sorts to deny to the public reliably accurate, comprehensible, independently verifiable (where possible), and comprehensive information about not only the condition of the Fukushima power plant itself and its surrounding communities, but about the unceasing, uncontrolled release of radioactive debris into the air and water, creating a constantly increasing risk of growing harm to the global community. While the risk may still be miniscule in most places, the range of risk rises to lethal in Fukushima itself. With the radioactive waste of four nuclear reactors (three of them in meltdown) under uncertain control for almost three years now, the risk of lethal exposure is very real for plant workers, and may decrease with distance from the plant, but may be calculable for anyone on the planet. No one seems to know. No one seems to have done the calculation. No one with access to the necessary information (assuming it exists) seems to want to do the calculation. There is no moral excuse for this international collusion. The excuses are political or economic or social, but none of them excuses any authority for withholding or lying about information that has potentially universal and destructive impact on everyone alive today and everyone to be born for some unknown generations. Japanese authorities may be the worst current offenders against the truth, as well as the health and safety of their people. Now the Japanese government has passed a harsh state secrets law that threatens to reduce or eliminate reliable information about Fukushima. The U.S. government officially applauded this heightened secrecy, while continuing its own tight control on nuclear information. Japanese authorities are already attacking their own people in defense of nuclear power: not only under-measuring and ignoring varieties of radioactive threat, but even withholding the iodine pills in 2011 that might have mitigated the growing epidemic of thyroid issues today. 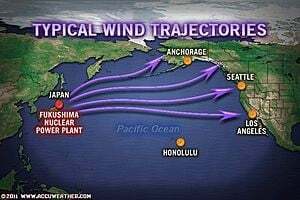 Failing to confront Fukushima honestly, the Japanese are laying the basis for what could amount to a radiological sneak attack on the rest of the world. Just because no one seems to know what to do about Fukushima is no excuse to go on lying about and/or denying the dimensions of reality, whatever they might be. There are hundreds, probably thousands of people with little or no authority who have long struggled to create a realistic, rational perspective on nuclear threats. The fundamental barrier to knowing the scale of the Fukushima disaster is just that: the scale of the Fukushima disaster. The plant’s corporate owner, Tokyo Electric Power Company (TEPCO), in turn effectively owned by the Japanese government after a2012 nationalization, began removing more than 1,500 fuel rod assemblies from the teetering fuel pool in November, a delicate process expected to take a year or more. There are additional fuel pools attached to each of the melted down reactors and a much larger general fuel pool, all of which contain nuclear fuel rod assemblies that are secure only as long as TEPCO continues to cool them. The Fukushima Exclusion Zone, a 12-mile radius around the nuclear plant, is about 500 square miles (much of it ocean); little specific information about the exclusion zone is easily available, but media coverage in the form of disaster tourism is plentiful, including a Google Street View interactive display. Five days after this story was posted, the “radiation cloud” had not developed despite the story’s assertion that: “Experts say this could be the beginning of a ‘spent fuel pool criticality (meltdown)’ involving up to 89 TONS of nuclear fuel burning up into the atmosphere and heading to North America.” The story named no “experts” and provided links only to TEPCO announcements in Japanese. The bulk of the story reads like an infomercial for “protective” gear of various sorts that TRN makes a point of saying it does NOT sell. Despite such obvious warning signs, others – such as The Ecologist and Gizmodo – reported the threat of “another meltdown” at Fukushima Unit #3 as imminent. Reportedly, TEPCO plans don’t call for the removal of the MOX fuel in Unit #3 for another decade or more. Fuel removal from Units #1, #2, and #3 is complicated by lethal radiation levels at all three reactors, as well as TEPCO’s inability so far to locate the three melted cores with any precision. There is ample reason to hope that Fukushima, despite the complex of uncontrollable and deteriorating factors, will not get worse, because even the Japanese don’t want that. But there is little reason to expect anything but worsening conditions, slowly or suddenly, for years and years to come. And there is even less reason to expect anyone in authority anywhere to be more than minimally and belatedly truthful about an industry they continue to protect, no matter how many people it damages or kills. The perfect paradigm of that ruthlessly cynical nuclear mentality is the current Japanese practice of recruiting homeless people to work at Fukushima in high level radiation areas where someone with something to lose might not be willing to go for minimum wage.